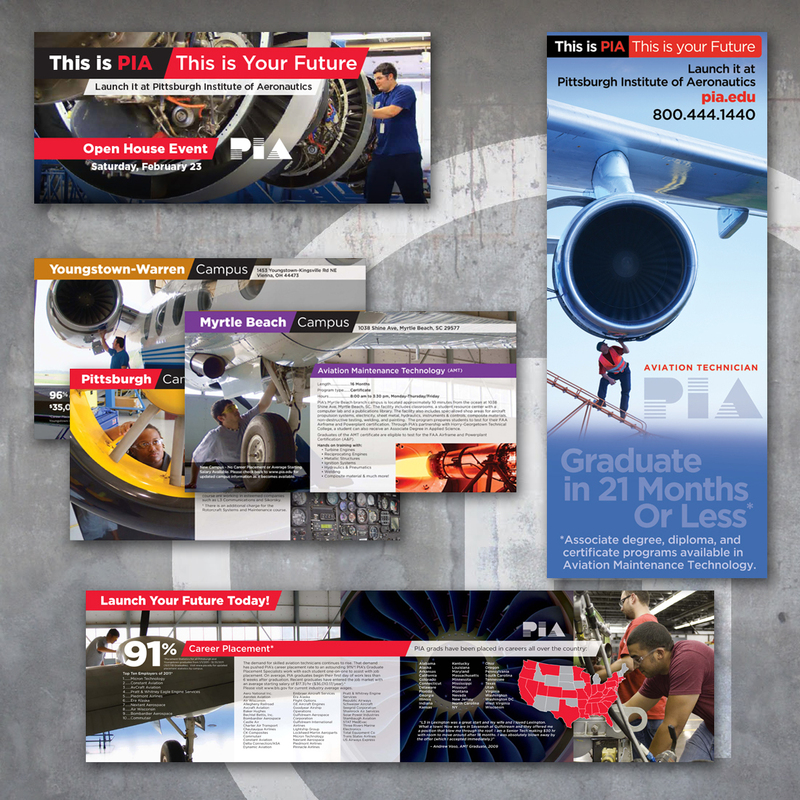 With roots dating back to 1929 and founding lineage linked directly to Orville Wright, Pittsburgh Institute of Aeronautics (PIA) is one of the nation’s highest rated, not-for-profit, technology schools. Specializing in short-term aviation technology degree programs at campuses in PA, OH, MD, WV, and SC, PIA is a recognized leader in career training and a revered regional brand. 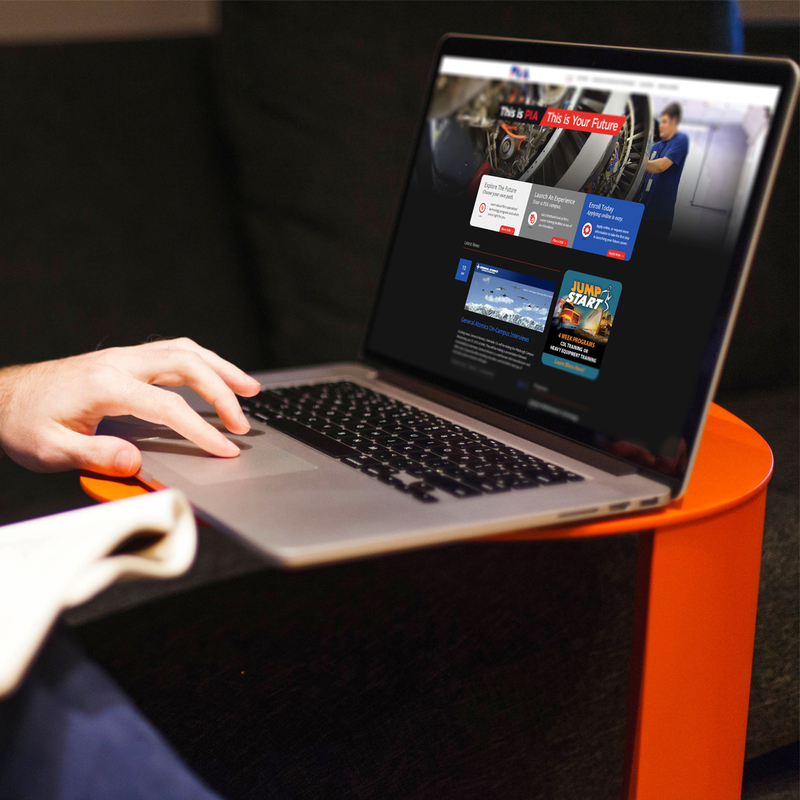 BOOM was tasked to develop a strategic marketing plan and new creative designed to spur growth of the PIA brand, increase and support student enrollment, and revitalize ongoing messaging. 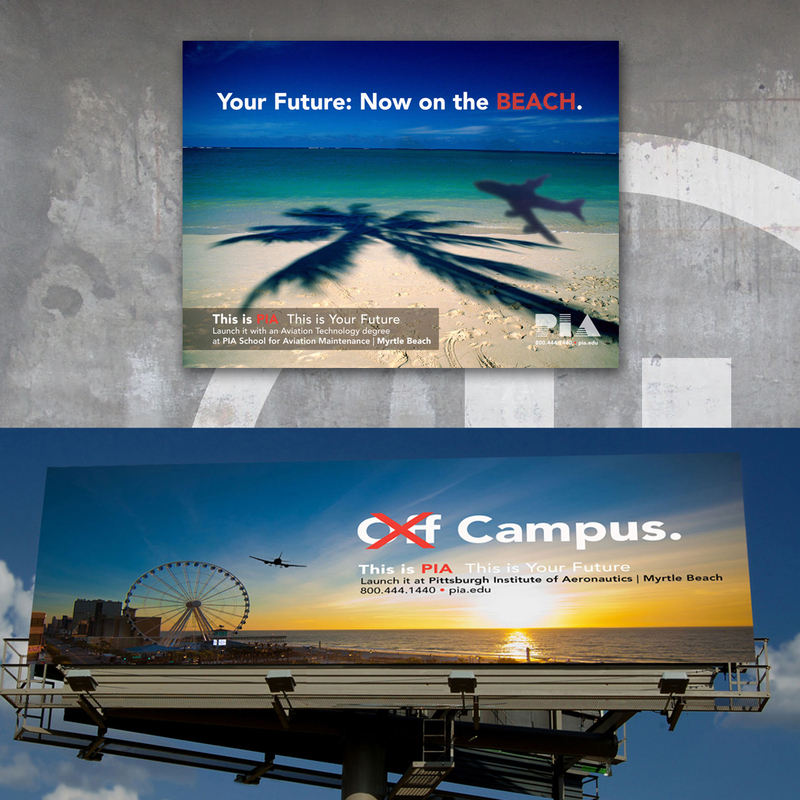 BOOM created a new advertising campaign that would both reintroduce and reposition the PIA brand. 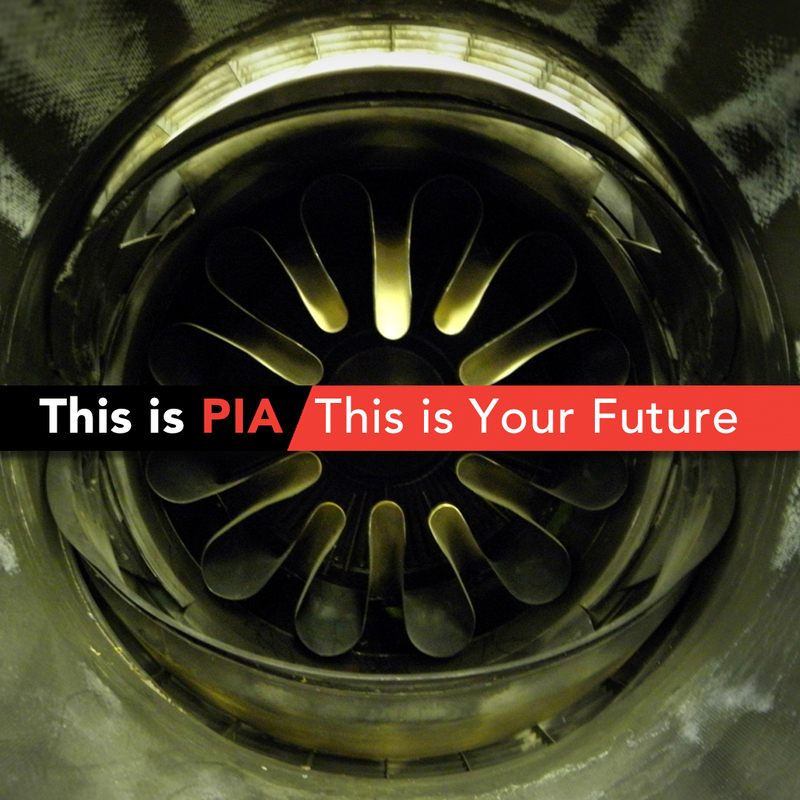 Built around the tagline “This is PIA: This is Your Future”, the campaign emphasizes the diverse career opportunities that await PIA grads, and showcases many of PIA’s strengths, such as a 90+% career placement rate, and new campus locations. In addition to incorporation of the new campaign into all messaging materials, a redesigned PIA website was launched, based around a simplified, yet robust user experience and functions as a repository for student and alumni resources as well as a sales tool for new enrollment.